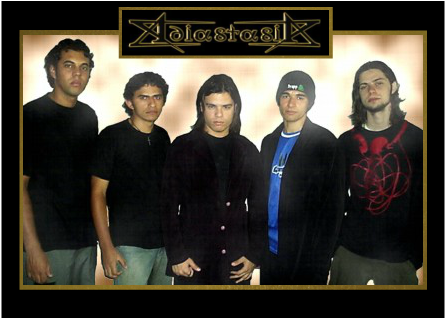 Adiastasia formed in 2003 by Vocalist Jeff Winner and comes to us from Brazil delivering their own version of European Power Metal. Adiastasia comes from the Greek language meaning the Absence of, Separation, or Non-separable, it can also represent the communion between the Son and the Father & the substantial Presence of God! In August of 2004, the band played in the "Festival Rock" in the city Campina Grande, Brazil where Jeff Winner received the prize of "Best Vocalist". This exposure went a long way in helping the band win over some fans. I would like to give the band another prize and that's the 'Coolest Album Cover Art Award!' The album art work for their 2006 release 'Life War', fits well with the Power Metal genre and the band should be commended for it. Jeff Winner does a great job on their debut album 'Life War' as he sings with passion. He delivers a wide range of vocal pitches adding a lot of variance to the album and making Power Metal fans, like me, happy. His pronunciation isn't always perfect but it doesn't take away from the overall performance. The Guitars are brought to us by Janinho Di'Nizz who can shred lightening fast and deliver a killer solo, but he doesn't stop at that. 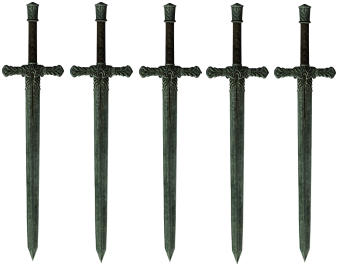 He also shows his knowledge of the axe by bringing the whole gamet of guitar type play. At the end of the first track, he touches on some thrash and In some tunes he even plays a bluesy type metal style. Then there's 80's-90's shredding styles throughout the disc keeping things interesting. I must say that I love the galloping riff work as well because it goes well with this type genre. One thing that I love about Power Metal is the double bass driven attacks and we find plenty of that here by Dinho Caetano. Dinho does a good job of keeping time and helps make this a great album. I must note that the drums actually sound like a real person is playing them sounding much like the 80's style of drumming. I noticed that Jeff Winner has still been busy after the release of 'Life War'. He has started a band called 'Angellia' who, musically, sounds a lot like Adiastasia. Lets all hope that they release something soon because I for one, would like to see more from this band. Recommended to all fans of Power Metal in the veins of Harmony, Felipe Gonzalez, Majestic Vanguard, Rob Rock, and Northern Flame.